A lacklustre day for GBTC. 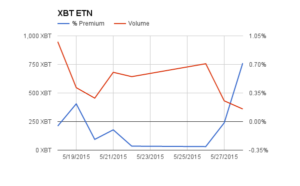 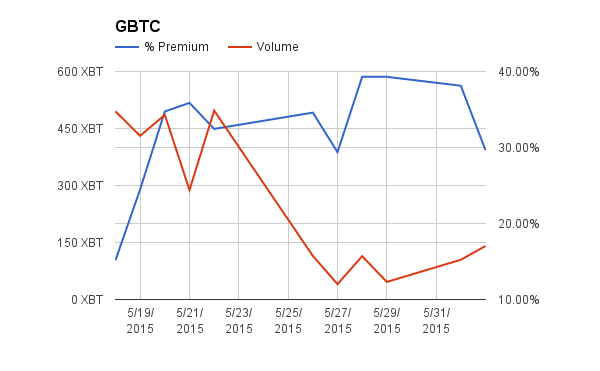 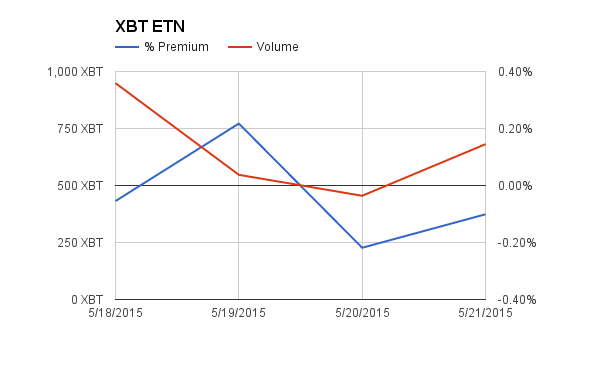 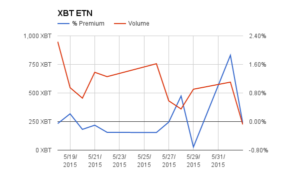 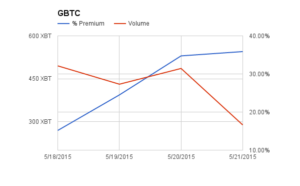 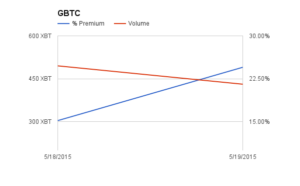 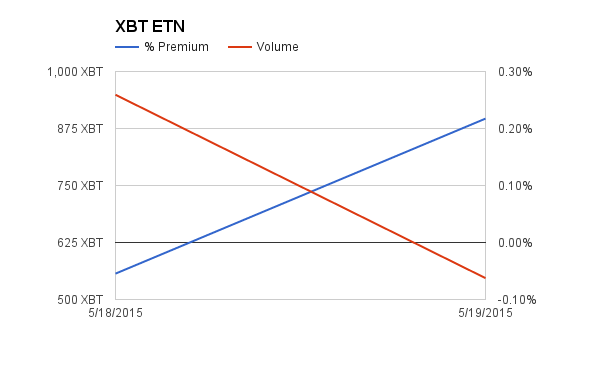 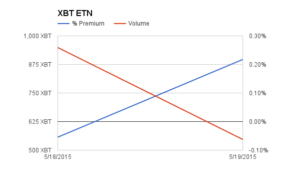 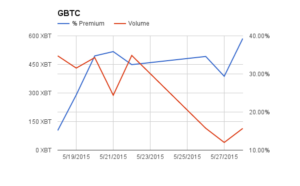 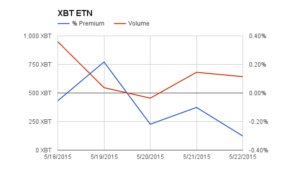 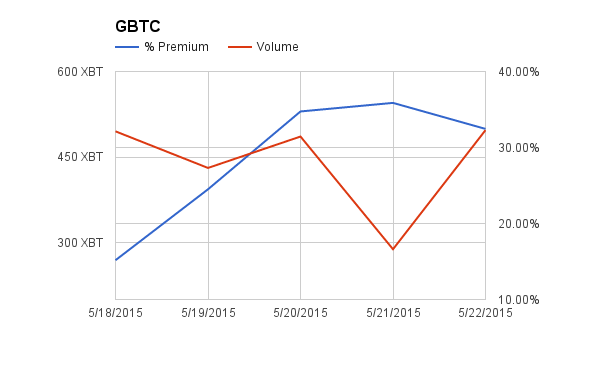 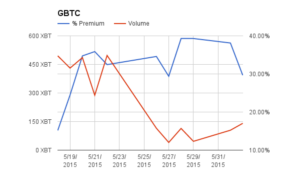 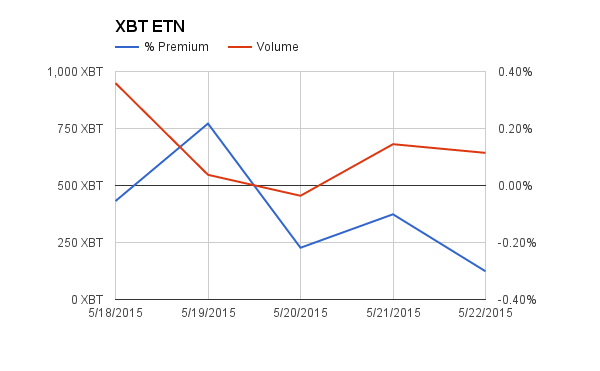 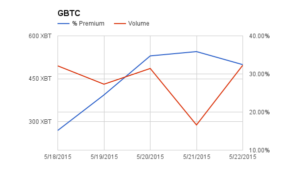 Volume fell to 288 Bitcoin and the premium held constant at 35%. 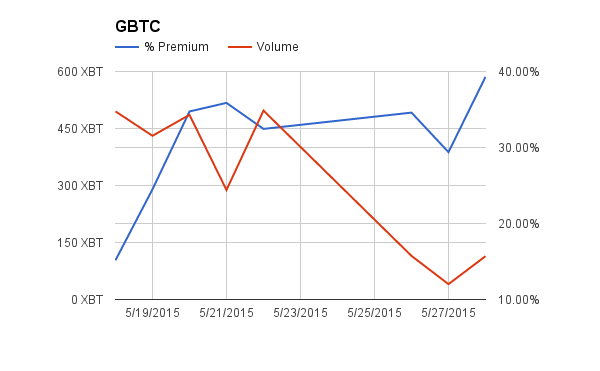 Volume picked up to 681 Bitcoin. 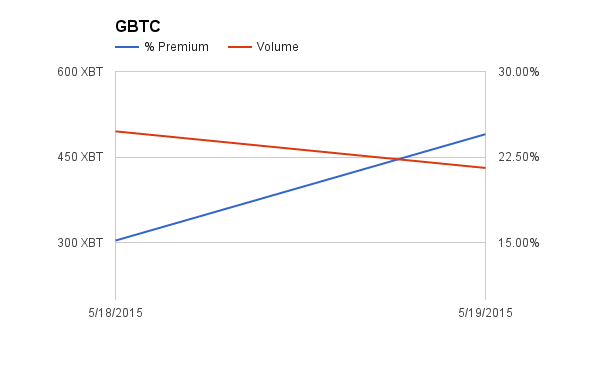 The premium has remained in a -0.20% to 0.20% band the entire week.